So, i was wondering if there was a way to make it so that you would have certain potion effects like wither, hunger, and nausea, whenever you didn't have certain armor on like full gold with the exception of leather boots. I am trying to make a map that will give you radiation sickness, whenever you don't have certain armor on, so it would be helpful if someone could tell me how to do that. I would prefer to stay on 1.8, if that is ok.
For 1.8, you'd assign a score as if they were not wearing the armor, and only change the score to a different value if they actually were. You'd target players that have the original score. Objective to hold the value. The following must run in numerical order. 1. Set their score to the default value of 0, indicating they are not wearing the armor. 2. Change their score to 1 if they actually were wearing armor. No problem. Is it a single player map or a multi player map? This will not support multiplayer. If any players are not wearing armor, but one of them is, all of them are marked as if they were. Using physical redstone logic and /testfor's when dealing with multi-target situations will simply not allow it to be multiplayer-friendly. I don't think I set this up properly. EDIT: I made some changes to it, but it gave me the sickness even though I had the armor on. Ok, i fixed it, but is there any way I can get rid of the messages that pop up whenever it checks for the armor? Ok, now is there a way that could make it so that it only applies to a certain part of the map, or certain levels of the map so that it would be like the surface is irradiated, but you would have a bunker underground so that you don't need to were the armor 24/7? Make the floor of the bunker out of a block that you dont use somewhere else in the map. You can, for example, use stone monster eggs for this. Test for that block and set the score of that person to 1. 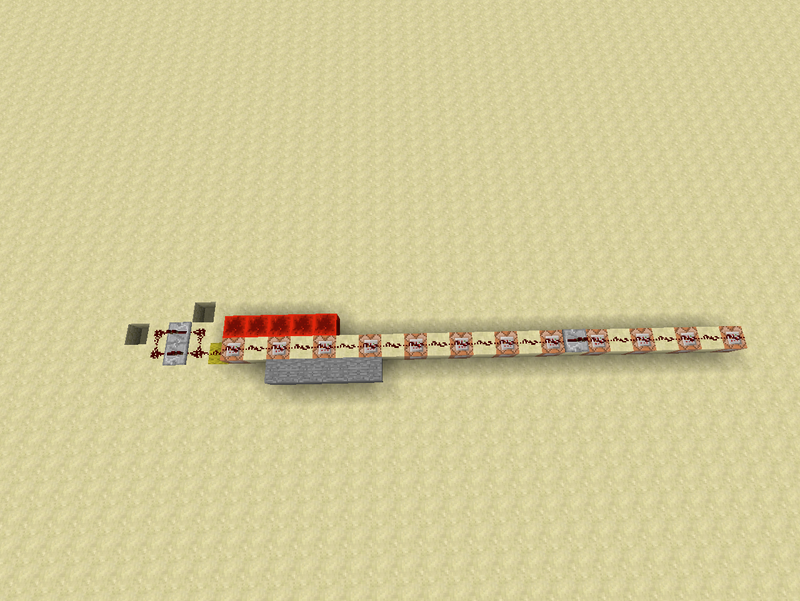 Copy and paste this command into a command block and attach it to the redstone block clock. 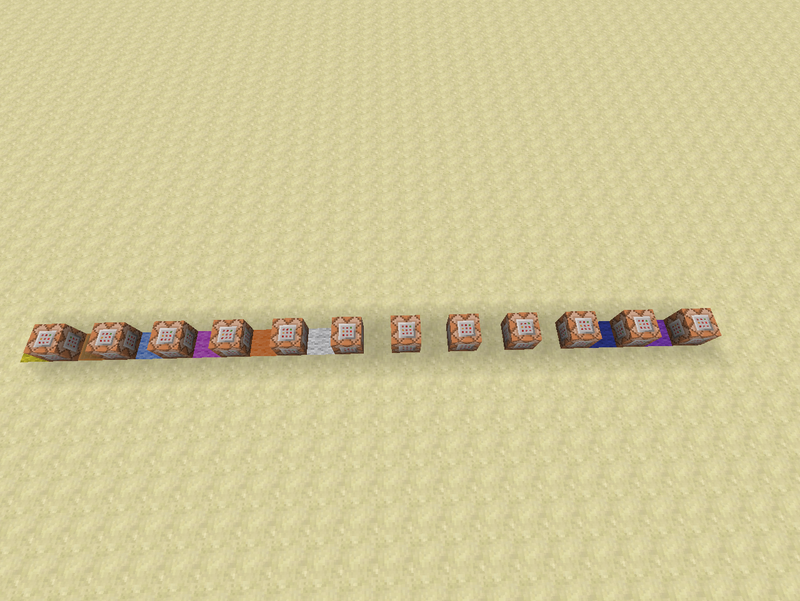 You can detect different Stone Block Monster Eggs by changing the '1' that comes after 'minecraft:monster_egg'. So if I were to do polished andesite, how would i change the commands? Is there a place were i can get the id's like stone 6 and whatnot for that command so I don't need to keep asking people? Because in my map, the fallout shelter is going to have different blocks than just polished andesite. Ok, so I came with another issue, if I jump while standing on a immune block, the air will give me the defects, and I don't want to make air blocks immune. I think im good now, thank you for helping me, and merry Christmas!